I say classic but this is indeed the first time I’ve seen the film or to honest even heard of it. The film stars Roy Scheider as Buddy a NYPD Detective who leads a unit called the Seven-ups. Why are they called the Seven-ups you may ask? The reason is because most of their convictions lead to sentences seven years or more. If you are familiar with The French Connection (1971) starring Gene Hackman as Popeye Doyle and Roy Scheider as his partner Buddy ‘Cloudy’ Russo you will note that these films feel like they are part of the same film franchise. To be fair they kind of are in the sense the producer of The French Connection Philip D’Antoni directs The Seven-ups giving it a very similar look and feel. Add to that the fact Roy Scheider character is called Buddy in both films, although I believe the surnames are different. Either way they feel part of the same world. So with that comparison in mind you should know the type of film that awaits you. Buddy and his team are working through a list of “bad guys” when it seems that some of the gangsters / mob type villains on their radar are being kidnapped and held for ransom. They are returned when the money is produced but have these cops crossed a line? Or maybe there is more to it than meets the eye. No spoilers in this movie review, but trust me it’s a pretty good story. The story is by Sonny Grosso whilst the screenplay is written by Albert Ruben and Alexander Jacobs. So is the film action packed and entertaining? Well it’s a thumbs up for both of those points, just as in The French Connection we have another memorable car chase through the streets of New York. They really do nail the car chases in both films. This film was directed by Philip D’Antoni and the direction and cinematography is perfect for this kind of movie. As I said earlier it really does have the same feel and look of William Friedkin directed French Connection. This is one of things that really helps make this into a really good film. Both films are filmed on the same type of film giving more of a film grain effect. That said the film has been restored and a good balance has been made between too much grain or not enough. more on this in the Blu-ray section of my review later. Roy Scheider steps up to lead in this film and he really does a great job, he doesn’t over play it but you are left with the feeling of not wanting to get on his wrong side. The music is by Don Ellis, yes he did indeed do the music for The French Connection. It creates plenty of tension so it does the job well enough. Now on to the negative side of the film, does really have any? You could argue the having the same look and feel and connection (French) means that it’s probably been slightly overlooked coming just two years after the William Friedkin / Gene Hackman classic. 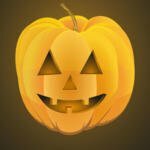 Maybe it seemed to lack its own identity at the time. All I know is one film has been shown on TV a lot and the other not so much, certainly in the UK a least. However watching The Seven-ups in 2016 I don’t think that holds true anymore (If it every did), It’s a good film in its own right. I would say the similarities in look and feel are actually a huge plus point. It’s always nice when you discover a film from years gone by that you have never even heard of and it turns out to be a really good film. That is certainly the case with The Seven-ups. Now it’s time to take a closer look at the Blu-ray version. The news is good, in restoring The seven-up they have got this restoration just about right. When reviewing and judging whether a company has done a good or bad job you should always factor in what type of film was used. Some directors want that noisy film grain look and choose the film that provides that look. The other main thing to consider is of course the condition of the original master, not all films age well due to poor storage. However there is nothing too much to complain about as far as I am concerned. There are a few very small speckles and flickers mainly at the beginning of the film and you will see a few here and there throughout the film. Despite this slight annoyance it’s not enough to distract from a thoroughly enjoyable viewing experience. Plus the film is now in the correct aspect ratio. The Blu-ray comes with quite a few interviews and to be fair they are for the most part very interesting. 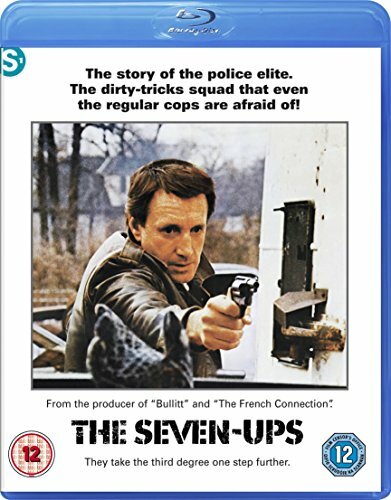 If you liked The French Connection (1971) starring Gene Hackman as Popeye Doyle and Roy Scheider you will almost certainly enjoy The Seven-ups, especially in its fully restored guise. The question is what is my movie rating for the Seven-ups (1973) ? The Seven-ups (1973) is available now on Blu-ray. I really like these types of films, I hope there are still a few more gems like this for me to discover, so that was my The Seven-ups Movie Review, Blu-ray version.